Have you applied for numerous jobs only to be rejected before you’ve even made it to the interview stage? This could be a huge red flag that your CV is letting you down and not showcasing your talents enough. It can be very frustrating when not given a chance by an employer to have an interview, but let’s not blame the employer for that, and instead we should look to see what may be going wrong with your CV and how you can move forward with a new outlook. One of the most common reasons for a CV to get rejected is because of poor presentation and/or spelling mistakes. It won’t matter how many skills and qualifications you have if your CV doesn’t look great, and fails to cover all the relevant sections expected by an employer. Remember, there WILL be other applicants that have as many skills and qualifications as you, and are maybe even more qualified. So the importance of having an immaculate presentation is immeasurable as it may come down to a simple choice for the employer – do I choose the CV that looks great, has no spelling mistakes and is easy to navigate; or do I go with this shabby looking thing? The obvious conclusion is that an employer will also value the presentation and accuracy of a CV, as well as if the candidate has the right skills as requested on the job posting. Tip – use a CV template to stand a better chance of creating a CV that looks great and has all the relevant sections an employer would want to see. When it comes to accuracy, have someone else proofread your CV for spelling and grammatical errors. If they have experience in recruitment, you may also be able to gain feedback on the contents of your CV too. A generically written CV that you plan on sending to numerous different employers will show a lack of care. The hiring manager wants to read a CV and instantly get an impression that this person is passionate and dedicated to the role and the company. A generic CV cannot provide those things, and will most likely get rejected. Tip – take your time to read the job advert to gain a better understanding of what skills, qualifications and experience the company is expecting a candidate to have. 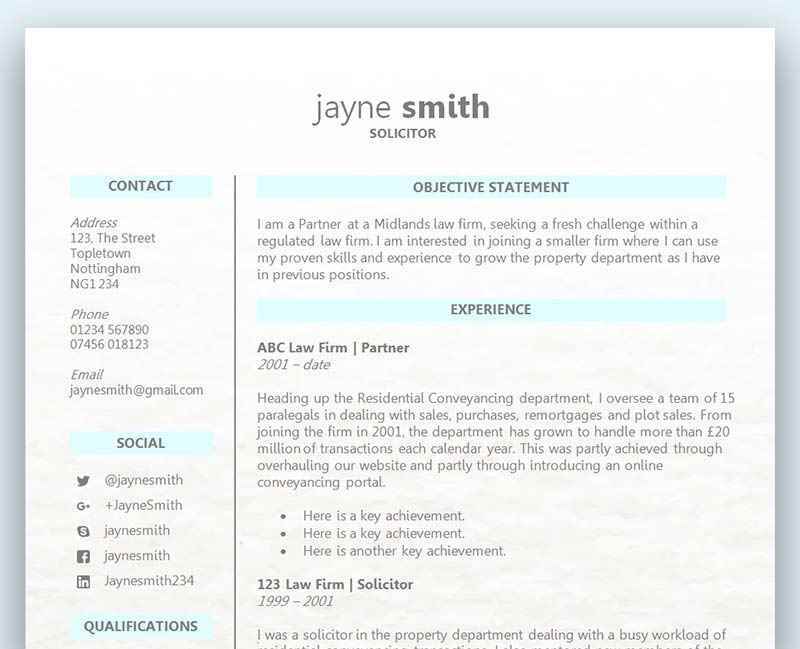 Also pay attention to the keywords that have been used, so you can also use the same or similar keywords and phrases within your CV to help stay on the same page as the hiring manager – who will have created the advert. Your CV has to be tailored to each and every role you apply for – even if that means making a few adjustments before sending out again. It doesn’t matter if you are applying to employers for the same or similar job title, as each company will have a different angle on this role, a different company culture, possibly different customers, and so on. No two jobs are the same – which is why your CV shouldn’t be either! This is probably one of the most common reasons why an employer would reject a CV, and although it may seem extremely obvious, you’d be surprised at how many CVs we’ve come across that just don’t quite understand the job advert, the company, and the role itself. Again, when we consider the positive effect tailoring your CV can have on your chances of getting an interview, the same can be said about creating a relevant application. Many experts endorse researching prospective companies before a job interview. However, we believe that the research needs to begin before you prepare your CV and cover letter. If you don’t carry out research into the company before you write a CV and send it off, you are at a major disadvantage to someone else that has. Tip – read the company’s website to gain more insight into what makes them tick. You need to find out who their customers are and what product or service they offer. Try to put yourself in the mindset of the hiring manager who you will have to sit in front and impress by answering their difficult questions – who would you want to hire? If you know someone who works for the company, you should consider contacting them to get some valuable inside information. They may just be able to let you in on a few secrets that you could use to tweak your CV and catch the hiring manager’s eye. Every slight advantage you can have over the rest of the competition could just get you the interview you’ve been waiting for. Claire Witmell’s guide to researching prospective employers is a great read and contains lots of helpful tips to make you more of a well-informed candidate. Thank you for this article. I think it will be really helpful in polishing my CV. It never ceases to amaze me just how many CVs we get that have typos. It’s a blantant lack of care and of course, they go straight to the bin. If you can’t take care over a simple thing like preparing a 2 page document, how can I trust you’d take care as our employee? It’s shameful, bordering on arrogant, that someone would send me a CV with errors in and expect me to spend time reading it. Generic CVs really are the bain of my life. Goodness knows, don’t they want the job? Just tell me at the top of your CV that you have what I’ve asked for in the job advert, and I’ll carry on reading. Really not that difficult. Feel like we need guidance like this, every job I go for has a tonne of applicants.